Lazada Vietnam delivered me the earphones I ordered on their website few days ago. For some reasons, the package was extremely deformed and the delivery staff seemed to be not so happy doing his task. That led me to post a feedback with complaining content in the “comment” section of product introduction site and guess what? Not even a call or reply reaching me for neither apology nor compensation. More importantly, my feedback still stayed there. Seriously? In this Internet era? I wondered if these online enterprises still have not recognized how destructively the consumers’ negative feedbacks can affect them, especially when they do not have any reaction. 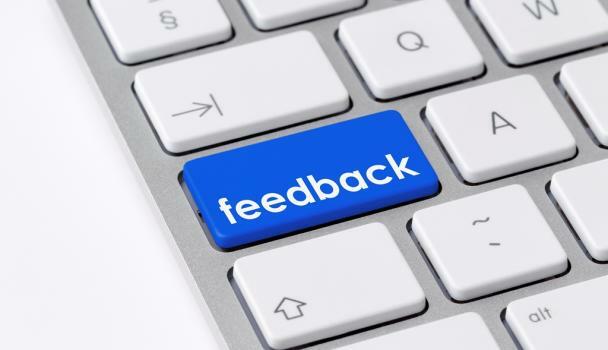 Online consumer feedback can be under a type of consumer review is the rating posted right on the company’s website or a third-party page, based on their peer experience of using the product and service (Mudambi & Schuff 2010). This online review type, in facts, can be considered as a form of electronic word-of-mouth (eWOM), which indicates an online space where consumers can get together and share their good and bad experience toward any product or service. Online review, factually, play a major role on shaping the consumer’s purchase decision-making process by influence their perception and attitude via information provided (Hennig-Thurau & Walsh 2004). Internet, therefore, offers consumer more chances to efficiently express their opinions towards the operation of a company. Before, it was difficult for you let many people hear about your peer evaluation using a product, let alone make your rating convincible. Nowadays, Internet has changed the affair when you are able to post your review in any place on the Internet. The company’s website, review sites, relevant forums or even your personal blog and any type of social networking sites. Your friends and family now can read your experience on a particular aspect and may share the information if they find it useful (Cheung, Sia & Kuan 2012), which means your evaluation does not stay in one place with 1 -2 people, yet spreads around and even is noticed by the press if the issue get serious. However, online review is not simply about writing a comment. Internet actually provides the consumer with audio-visual aids for supporting their evidence. A photo may be faked and not convincible enough to you? Then, how about a video recording the whole process of product’s package unbinding? In 2010 and 2011, Tan Hiep Phat – a Vietnamese national beverage brand – was stuck in an extremely scandalous situation when a series of their products was denounced to be decayed (Vietbao 2011). This set up a huge drive of boycotting THP’s drinks in many popular supermarket and also the consumers. The start of this scandal came from a few You Tube review videos showing that there were unusual things insides the lemon green tea (Tra xanh 0 do) and Dr Thanh herbal tea bottles. The scandal yet was not over when owner of the video reposted the links under the description to connect with other review videos, which express the same circumstance of THP products. Nevertheless, what I mean is not that online consumer reviews only threaten companies doing illicit business. Any enterprise can possibly face the dangerous scandals, especially ones caused by cyber-scammer’s reviews. Internet has opened a place where users can create their own online identities, some of which may be not even their real ones. Those who using unrealistic identities thus may have chances to avoid their responsibilities for anything they say online (Fried 2003). These fraud reviews can under form of extremely negative feedbacks that mainly aims at blackmailing, revenging, competing, taking down or simply offending the business. It is true that online reviews may bring the business excellent opportunities for promotion, yet they can also be a severe threat for the enterprise. 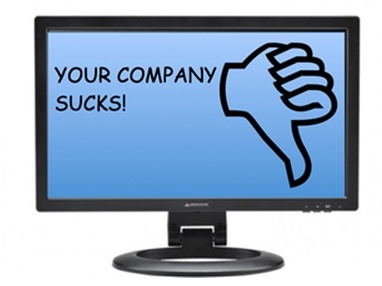 So if you are running your own business: be ethical and beware of Internet scams in each online consumer review. If you have finished reading this entry, rate it with the stars by the end. Please kindly note that any “review” of yours is welcome in my blog. Cheung, CM-Y, Sia, C-L & Kuan, KKY 2012, ‘Is This Review Believable? A Study of Factors Affecting the Credibility of Online Consumer Reviews from an ELM Perspective’, Journal of the Association for Information Systems, vol. 13, no. 8, pp. 618-35. Fried, RB 2003, ‘Cyber Scam Artists: A New Kind of .con’, in SANS Institute InfoSec Reading Room. Hennig-Thurau, T & Walsh, G 2004, ‘Electronic Word-of-Mouth: Motives for and Consequences of Reading Customer Articulations on the Internet’, International Journal of Electronic Commerce, vol. 8, no. 2, pp. 51-74. Mudambi, SM & Schuff, D 2010, ‘What Makes a Helpful Review? A Study of Customer Reviews on Amazon.com’, MIS Quarterly, vol. 34, no. 1, pp. 185-200. 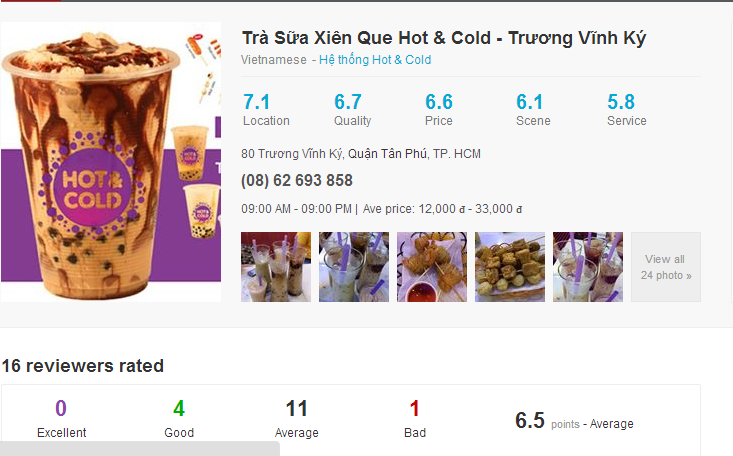 Vietbao 2011, ‘Hàng loạt nước giải khát của Tân Hiệp Phát bị tố hỏng’, Viet Bao, viewed August 7, 2014, <http://vietbao.vn/Doi-song-Gia-dinh/Hang-loat-nuoc-giai-khat-cua-Tan-Hiep-Phat-bi-to-hong/2131384886/111/>. 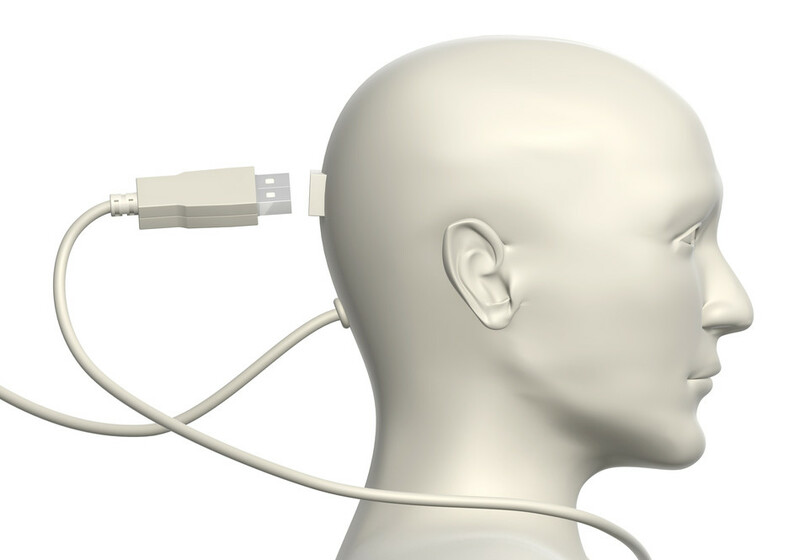 Is Internet turning your brain into computer hardware? So far, our human brains have been considered as the organizational systems that operate most effectively all over the planet, asserted Howard (n.d.). One human brain has 100 billion neurons with approximately 1 quadrillion synapses that can connect the cells together and enable itself to process the information in an unexpectedly active way (Choi 2013). In other words, the ways our brains work are the combination of different brain portions and influenced by both our will and external environment, unlike the default format of a computer (Knapp 2012). A human brain works based on the pure intelligence, memorizing capability and emotional expression, which indicates computer still have a long way to win over human brain’s data analysis and repository (Howard n.d.). Well… not anymore! Because the Internet nowadays seems to significantly change the way of how our brains work. The Internet, as Carr (2008) claims, is an add-up of many necessary communication technologies in our lives, which are broadcasting media such as radio and television, telephone, books, newspapers and even typewriter. Any content from other media is now possibly put on the Internet and this allows us to simultaneously access and process two or more contents merely from your computer, which is a representative of “multi-tasking” defined by Kraus (2012). For example, I now can listen to online music as well as using Facebook while doing my assignment research. You may think that makes my brain multi-tasking, yet Kraus did object. In facts, it is just the internet browser that processes different tasks and the brain only shifts my attention among these tasks as rapidly as possible. To make it easier for you to understand how multi-tasking feature leads to distraction, think about the tabs in your internet browser. Have they ever made you reject your ongoing assignment paper like those guys in the Internet Distractions video by CollegeHumor? 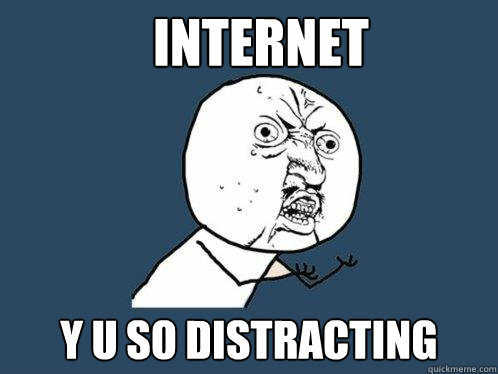 If yes, then your brains are facing the “chronic distraction” (Carr 2010) caused by the Internet when it has you form an attention-switching habit, which means you put the brain in a practice of shifting the attention away from a particular content that you should have concentrated on (Kraus 2012). Like never before, our brains could be easily distracted in the era of Internet. There is one thing we should always remember is that human brain store the memory, whereas memory keep our knowledge as archives (Rumelhart 1980). The direct link between reading and memorizing capability proved by Numminen et al. (2000), claimed that reading skill play an important role on developing human long-term memory as well as knowledge. Nevertheless, Internet nowadays has formed a skimming style that has almost replaced the deep reading style which hugely contribute to long-term memory storage (Carr 2008). If I want to learn about a theory, all I have to do is typing the theory’s name on Google and enter. All the information that I need will show up under a list of hyperlinks. In less than 30 seconds, I can get the definition, usage, criticism and even examples related to the theory I need. Though I may see Wikipedia – an unreliable site to me – appearing on top of the list, there are many other links placed in the site’s bottom connecting to a bunch of credible sources. With that enormous information flow, Internet enables me to keep jumping from a source to another one and merely need to capture the main points that are relevant to my requirements. The result is just like Carr asserted in his article ‘Is Google Making Us Stupid?’, I hardly remember any essential argument after I finished the task aligning with that theory. The online researching process only helped me to deal with my assignment contemporarily and quickly. My knowledge of the theory, factually, just stays on the surface, have no more depth and width called “experience diversity”. In other words, I offered my brain no chance to conduct critical thinking process and follow the exactly same way as Internet distributes information. Though I thought I did, Google was the one who actually worked on my assignment. Another thing to remember: Critically analyzed memory is real knowledge, which essentially differentiates a human brain from a computer. In an article discussing this reading issue ‘Vietnamese reading culture should be promoted: American professor’, Daniel Martinez, an American lecturer working in Vietnam points out that most of his Vietnamese students, instead of reading a whole book, divide their set reading into different parts and only read their assigned part while their group members read the others, which exactly resembles online reading way. He believes that the reason mainly comes from the excuses for their busy lives that can only be solved by convenient and fast information flow on Internet. Like Carr’s claim, Martinez believes that this reading style is significantly changing the way young people adopting new knowledge: Rote-learning style, which has no sign of in-depth comprehension and long-term memory. Although I used to disagree with the Computational Theory of Mind that human mind works like computer software operating on the brain’s hardware, the reality has me re-consider the issue. With the presence of Internet as a medium to over-rely on, human brain may truly turn into a computer hardware that always process data through its mere logic gates and follow its default settings. Feel free to express what you think about this issue. But before that, shall we do the quiz below to see if we – the people living in this era of distraction – can still concentrate, and our brains do not work like computers? 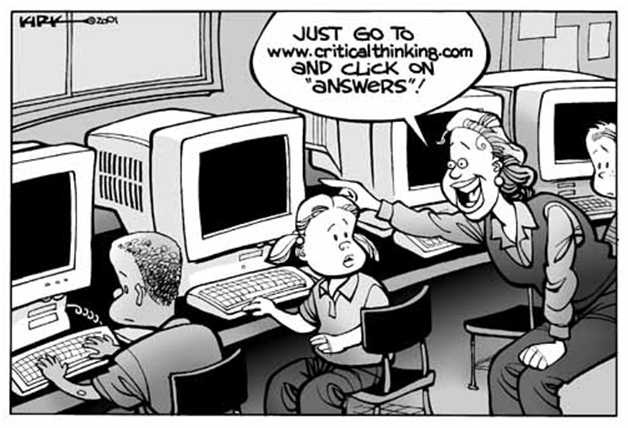 Carr, N 2008, ‘Is Google Making Us Stupid?’, The Atlantic Monthly Group, viewed August 8, 2014, <http://www.theatlantic.com/magazine/archive/2008/07/is-google-making-us-stupid/306868/>. —- 2010, ‘The Shallows’: This Is Your Brain Online, NPR Books, Author Interview, June 2, <http://www.npr.org/templates/story/story.php?storyId=127370598>. Choi, CQ 2013, ‘Human brain may be even more powerful computer than thought’, NBC News, viewed August 8, 2014, <http://www.nbcnews.com/science/science-news/human-brain-may-be-even-more-powerful-computer-thought-f8C11497831>. Howard, J n.d., Why are human brains still better than computers?, Discovery: Curiosity, viewed August 8, 2014, <http://curiosity.discovery.com/question/human-brains-better-computers>. Knapp, A 2012, Why Your Brain Isn’t A Computer, April 5, Forbes Blog, viewed August 8, 2014, <http://www.forbes.com/sites/alexknapp/2012/05/04/why-your-brain-isnt-a-computer/>. Kraus, J 2012, We’re creating a culture of distraction, May 25, Joe Kraus’s Blog, viewed August 8, 2014, <http://joekraus.com/were-creating-a-culture-of-distraction>. Numminen, H, Service, E, Ahonen, T, Korhonen, T, Tolvanen, A, Patja, K & Ruoppila, I 2000, ‘Working memory structure and intellectual disability.’, Journal of Intellectual Disability Research, vol. 44, no. 5, pp. 579-90. Rumelhart, DE 1980, Schemata: The building blocks of cognition, Center for Human Information Processing, University of California, San Diego. Have you ever felt like being bombarded seeing tons of posts all around your Facebook news feed? Anything about your friends’ life could be covered: what they eat, what they wear and even how their bedrooms look like. And, have you ever feel your life is less happy than those friends when looking at what are showed? Well, don’t feel that way! Because it can be that you are just seeing the narcissistic individuals born from social media. 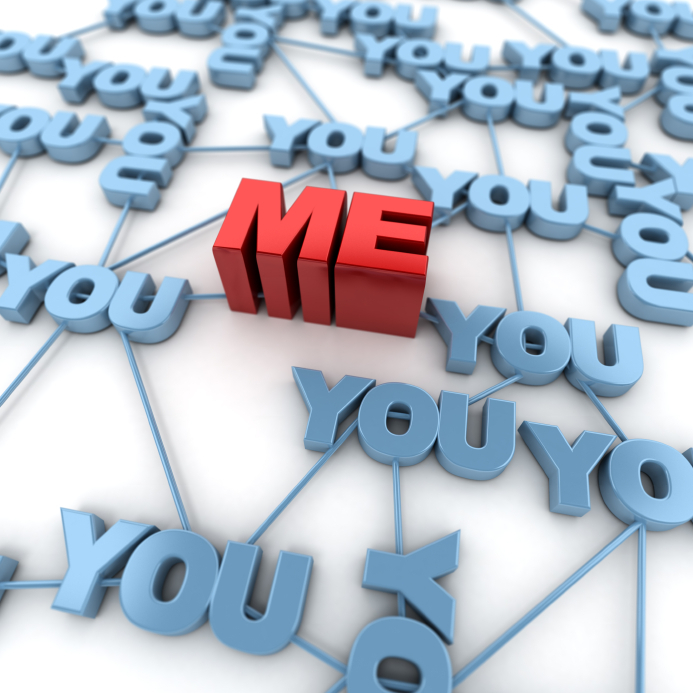 Narcissism is defined as the expression of self-loving and conceitedness when individuals are in chase of the meaningless reputation (Symington 1993). In other words, narcissists manifest a profound need of being recognized and admired by the publics through showing off their selected bright points (Weiss 2013). Social media like Facebook, on the other hand, is a potential environment with sufficient necessary tools for narcissistic manners to develop. Facebook, in facts, provide a number of functions supporting self-promotion like photo, video or status posting and location check-in. Additionally, the functions “Like” “Share” and “Comment” have become the perceived rewards or recognition for the way users choose to express themselves online. The more “Like” they get for their posts, the more self-important and self-centered they may become. That is the key reason why online narcissists incline to spend more time on social media than others and upload more fantastic-considered photos or posts promoting themselves, as a study of Wang et al. (2012) showed. It can be argued that good things deserve compliments, yet only if those things are meaningfully and authentically presented. A research of Greenwood (2013) claimed that users’ need of fame is another main motivation for Facebook use, besides communication and building relationships. However, fame can be formed from many human aspects such as talents and opinions about life, not only from attractive appearances or financial wealth presented in every detail of daily life. 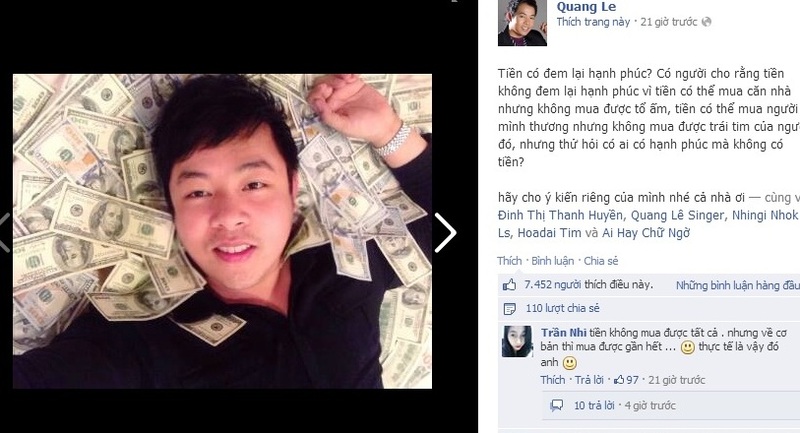 In Vietnam, a number of young people using Facebook in the way mentioned above and some got worse. 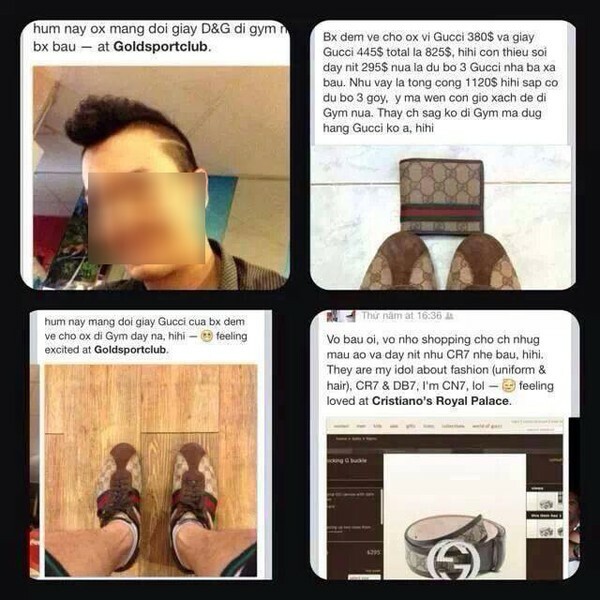 Apart from frequent check-ins and selfies, excessive narcissism expressed through their show-off of luxurious goods and preposterous poses with money to capture public’s attention (Figure 1 & 2). For me, a Facebook user, I personally think that Facebook and other social media themselves do not make users narcissistic. It is true that these social sites provide tools that encourage users’ self-expression, but that means users also have their healthy expression choice. Therefore, Facebook can merely offer users the environment that may enables them to crave for vanity, it still depends on individuals to decide which way to use Facebook and how to manifest themselves online. Greenwood, DN 2013, ‘Fame, Facebook, and Twitter: How attitudes about fame predict frequency and nature of social media use’, Psychology of Popular Media Culture, vol. 2, no. 4, pp. 222-236. Kennedy, H 2006, ‘Beyond anonymity, or future directions for internet identity research’, New Media & Society, vol. 8, no. 6, pp. 859-876. Symington, N 1993, Narcissism: A New Theory, 1st edn, Karnac Books. Tan, T 2014, Chàng trai mang tiếng ‘chém gió’ vì bị giả mạo Facebook, Vnexpress, <http://ione.vnexpress.net/tin-tuc/nhip-song/chang-trai-mang-tieng-chem-gio-vi-bi-gia-mao-facebook-3018542.html>. 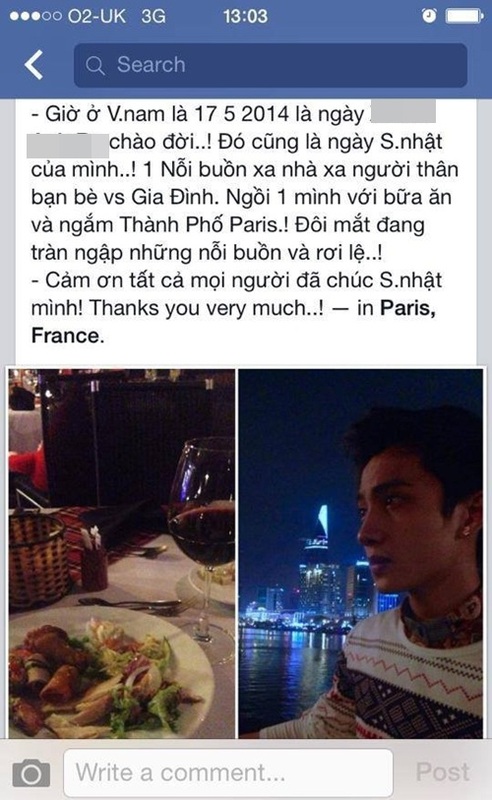 Uteen 2014, ‘”Khoe của” lố bịch trên Facebook – Chuyện dài chưa có hồi kết’, Uteen. Weiss, DE 2013, ‘The Relationship between Internet Social Networking, Social Anxiety, Self Esteem, Narcissism, and Gender among College Students’, Psy.D. thesis, Pace University. Do Internet bring us more harms than good? Find your answer in my Blog.